1. Automatic precise positioning control ensures accurate roller placement. 2. 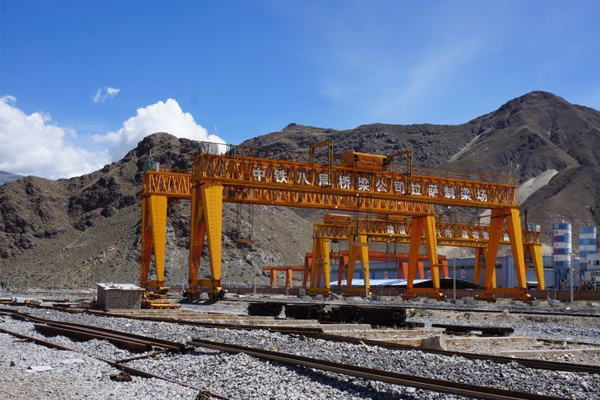 Anti-swing control technology ensures smooth running of the roller lifting process. 3. Automatic hydraulic clamp, professional roller automatic spreader. 4. Multiple lifting technology can replace 10 sets of rollers at a time. 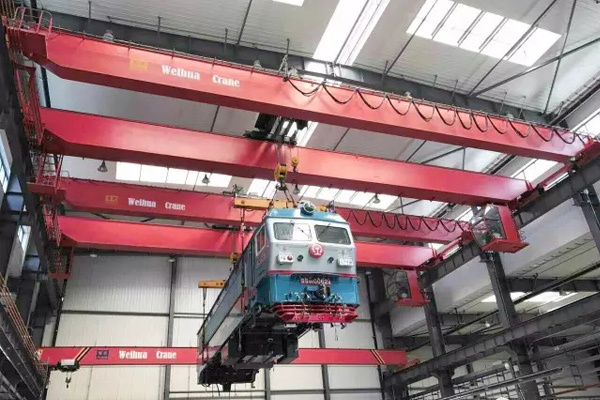 Straightener roller crane is a fully automatic overhead crane used for the replacement of rollers of straightening machine. 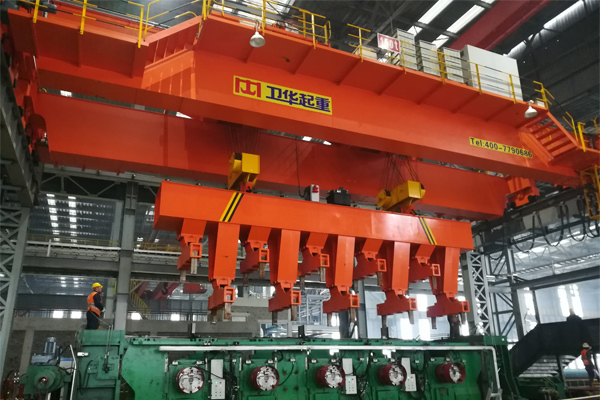 Straightener roller crane is a fully automatic overhead crane used for the replacement of rollers of straightening machine. 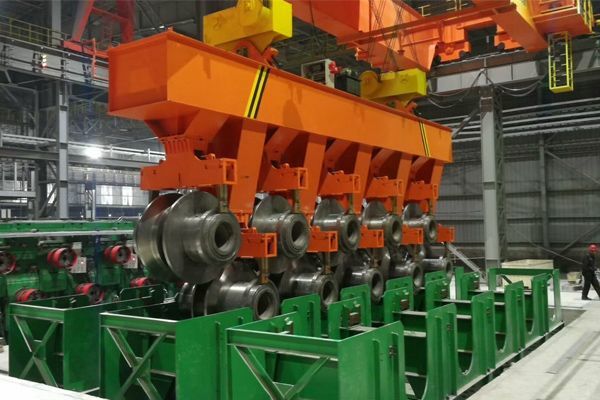 In the metallurgical industry, different rollers shall be replaced promptly for different profiling demands. 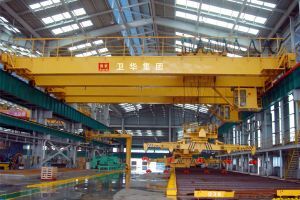 In the past, automatic cranes for roller change in China are all imported. 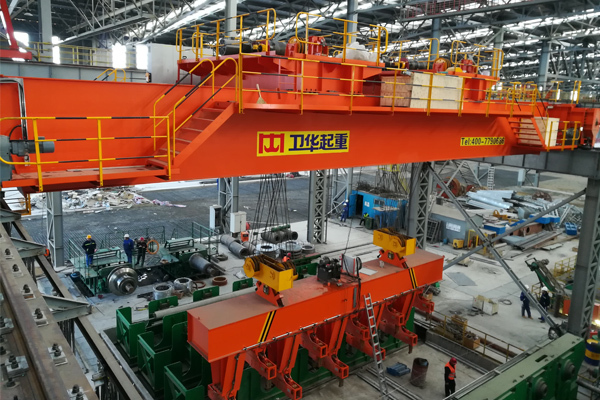 With our own patented technology and independent intellectual property rights, Weihua develops the fully automatic roller change cranes, which breaks the monopoly of foreign technology and the product performance reached the international advanced level. 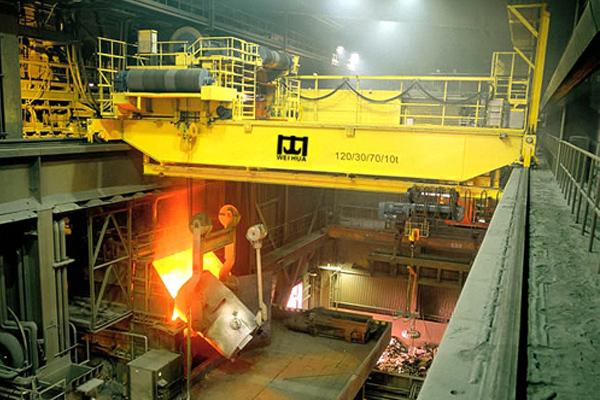 The successful delivery of this product has provided strong support for the automation control of the steel industry. 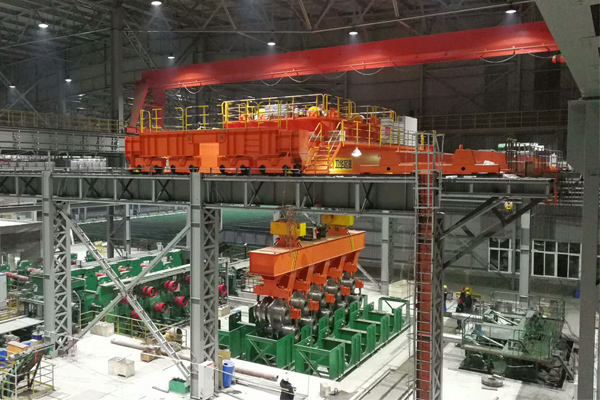 It is another masterpiece of Weihua with the automatic steel pipe distribution crane (Baogang Group), automatic nickel smelting feeding crane (Chengde Nickel Industry), automatic multi-point Casting crane (China Steel Infrastructure). 5. 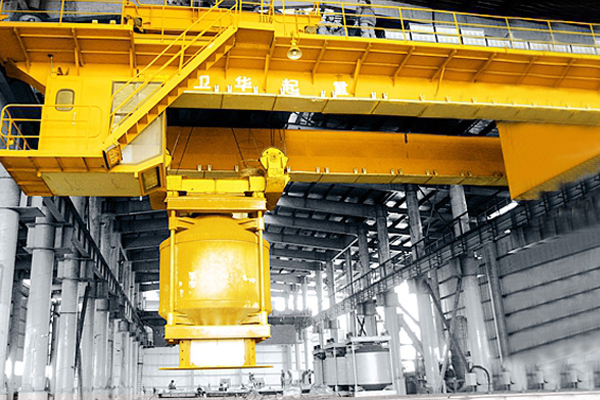 Accurate sensing technology ensures the safety of the entire operation process.